Singapore really is a cultural divers and pretty modern city to visit while traveling around in Southeast Asia. But when it comes to your travel budget… Singapore will break your budget for sure. It is way more realistic to compare the prices in Singapore with Western countries than any of the other countries around Southeast Asia! The prices might even be shocking for a split second when you are already traveling around in the area for a while and you suddenly decide to do a Singapore citytrip. So better prepare yourself with this article! Just make sure you calculate some extra money in your Singapore budget and you will absolutely have a great time. We visited Singapore for almost three days because we had to do a visa run out of Thailand. Two years before we also visited Singapore for two days. We did like it as it is really a divers city of its own, so that’s why we decided to come back. Therefore we also knew what costs we could expect on this little getaway. To help you prepare your Singapore budget I will show you the exact amount of money we spent in the city. And I will give you some Singapore budget tips to make your stay as awesome and budget friendly possible. During the three days we visited Singapore (we arrived there on a Saturday afternoon and left on Tuesday morning) we spent in total for two persons: € 262,23. This does not include the plane ticket to Singapore, transportation from the airport and the bus we took to Malaysia to leave the country again. Also: this is without costs for paid attractions. Of course I will take these prices into account in this article as well. 1.0.6 So when are you planning a Singapore citytrip? The most expensive part of our Singapore citytrip was definitely the accommodation costs. Unfortunately, the budget accommodation options in Singapore are still not that cheap. For three nights in a hotel in the Geylang area we had to pay € 128,58 including taxes (which are sometimes excluded). This was a fair price, but I can’t really recommend the hotel we stayed at to be honest. On our first Singapore citytrip we stayed for the same price in the same area in Hotel 81 Orchid, but then for two nights. This hotel was really clean and comfortabel, although the rooms were pretty tiny. But it’s Singapore! You can’t really expect a big room on a budget here. Recently they actually renovated Hotel 81 Orchid and it looks really awesome now. Singapore budget tip: do you want to stay as cheap as possible in Singapore? The best thing you can do is to make use of one of the many capsule hostels around the city. Singapore really has a lot of capsule hostels with sleeping pods to offer. You will sleep with quite some people in one room, but everyone has their own comfortable pod, so you won’t really notice it. Some capsule hostels also offer pods for two persons. Public transport in Singapore is great. The most convenient way to explore Singapore is by taking the MRT and LRT train (subway). Singapore has six different MRT and LRT lines and they reach practically every corner of the city. You will always get to your destination pretty fast. Also, you can buy tickets at every station and they are not that expensive. For most single way tickets you will pay between $ 1,50 (€ 0,95) and $ 2,70 (€ 1,75). We spent together € 16,64 on public transport during our Singapore citytrip. You can also hop on a bus or decide to take a taxi or Grab. Using Grab is especially a cheap and practical way to get from the airport to the city centre and the other way around. Singapore budget tip: planning on traveling around a lot by public transport? You might want to consider buying a Singapore Tourist Pass in that case. This pass will give you unlimited freedom to use public transport all day long in Singapore. A 1-day pass will cost you $ 10,- (€ 6,45), a 2-day pass $ 16,- (€ 10,30) and a 3-day pass $ 20,- (€ 12,90). In my opinion the food prices are a bit odd in Singapore and definitely something you can save on during your Singapore citytrip. For example: the first day I had an amazing briyani rice in a local restaurant for $ 6,-, while afterwards we found the same dish in a restaurant in the city centre for $ 24,- on the menu. How is that even possible? In total we spent € 71,27 for two persons on food in three days. Now, please be aware that we never had food in expensive restaurants, but we always searched for options just outside the tourist areas. This way we had some great food to eat for way less money. Our food budget also includes some snacks like fruit and ice cream by the way. Singapore budget tip: try to avoid the really touristy hotspots and go to one of the many hawker stalls. 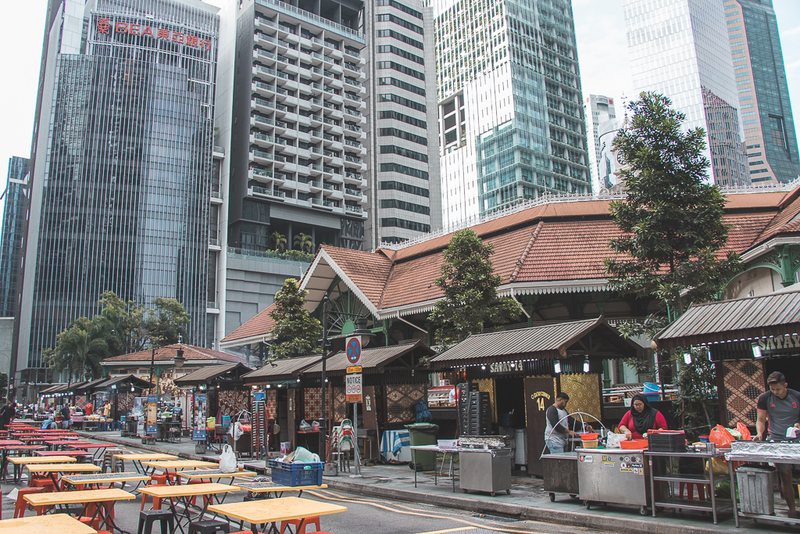 Singapore does have a lot of different food courts where you can find hundreds of stalls selling so many different dishes for just a few euros. Two of the most populair ones are Lau Pa Sat Hawker Centre and Makansutra Gluttons Bay. On this website you can find a top 10 with the best hawker centers around Singapore. This is the part where it gets more expensive as well. Drinking prices in Singapore are kind of the same as some Western countries. We paid in total € 43,35 in three days on drinks in Singapore. This amount of money contains… wait for it… one beer! The rest comes from drinking soft drinks, water and coconuts. For the most expensive soft drink we paid € 2,65. Be aware of the service fee and taxes that are not always included in Singapore drinking prices straight away. Particularly in the tourist areas you will sometimes see a + or ++ behind the price. A + means that you still need to pay a 10% service fee and ++ will tell you that you can sum the price up with 10% service fee and 7% tax. Singapore budget tip: Singapore is the only country in Southeast Asia where it is actually safe to drink tap water. We still bought drinking water but that was more a habit from Thailand. As you probably have noticed in the beginning of the article, we didn’t spent any money on activities. A lot of the activities you can do in Singapore are actually for free. How awesome is that! You really don’t have to spent money on activities to have a great time during your Singapore citytrip. However, I do know that you might have some paid Singapore activities on your bucketlist, so let me show you the prices of five really populair ones. This way you can still calculate them into your Singapore budget. A lot of these activities are a few dollars cheaper when you book them online in advance. It can definitely save you some money in the end! Singapore budget tip: there are a lot of amazing places to see around Singapore that doesn’t cost you anything. The city itself is already amazing to explore and cultural mixes and modern influences makes it really interesting. Just wander around and see what you stumble upon. I can recommend you to visit Little India, China Town, Kampong Glam, Clarke Quay, Gardens by the Bay (partially for free), Marina Bay and the Merlion. An article about the things to do and see in Singapore is coming your way! So when are you planning a Singapore citytrip? 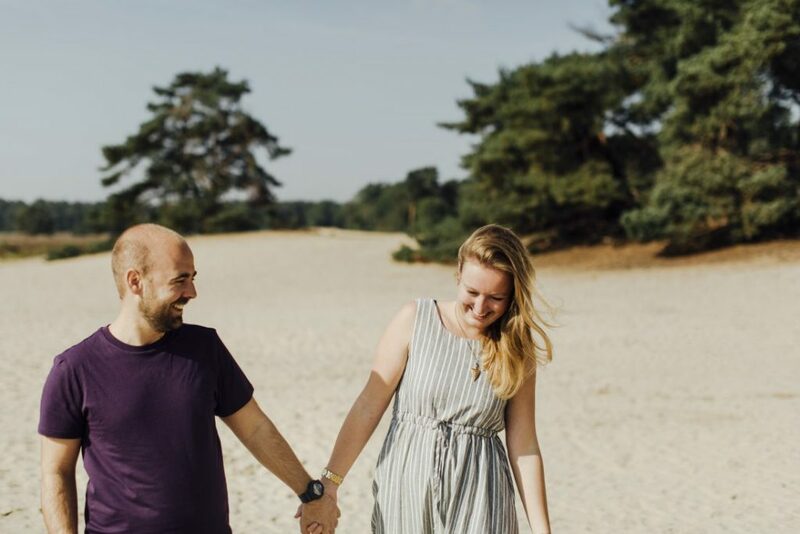 A Dutch digital nomad couple that left everything behind to travel the world long-term. Would you like to know more about our adventure?